Heather Maio-Smith, managing director at Conscience Display, a collaborator with the USC Shoah Foundation on the holographic project, adjusts a microphone before taping of Max Glauben begins. Nineteen cameras, a crew of a dozen-plus, five days and 40 hours of filming are all needed to make sure that one man, Dallas’ own Max Glauben, tells his story, his history and his whole heart to generations to come. The University of Southern California’s Shoah Foundation, Glauben and the Dallas Holocaust Museum are creating a holographic exhibit today, about the past, that will last long into the future. 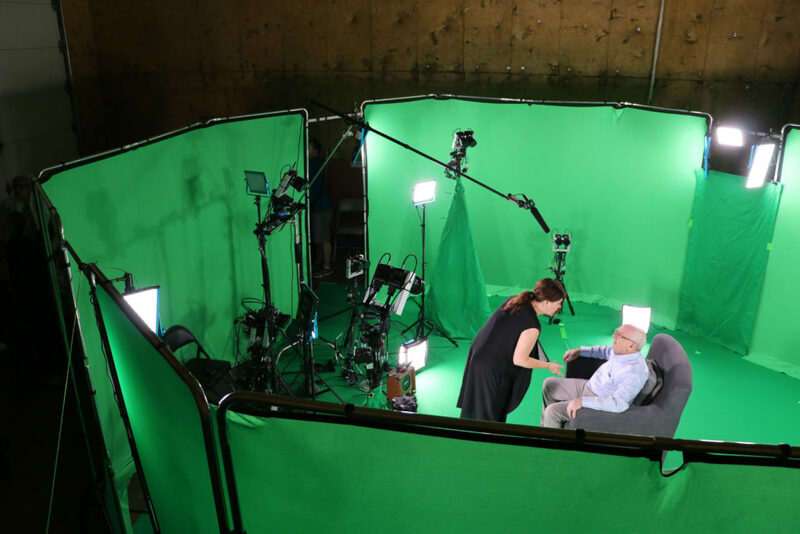 Glauben, the 19th subject in the Dimensions in Testimony initiative, will premiere next spring in a 2D testing format at the Dallas Holocaust Museum’s current space, and then in its full 3D experience at the Dimensions in Testimony Theater at the new Dallas Holocaust and Human Rights Museum when it opens in September 2019. In the intimate theater, museum visitors will also have access to 17 other interactive testimonies of Holocaust survivors from around the world, as well as a survivor of the 1937 Nanjing Massacre in China. “It took me no time to want to participate,” said Glauben, who saw the project in place at Dallas’ Museum of Biblical Arts with survivor Pinchas Gutter of Toronto. That exhibit will run through the end of this year. It is available only in a few museums at this point. The idea was first envisioned by Heather Maio Smith, managing director of Conscience Display, which creates exhibitions of survivors. Glauben was just 10 when World War II started and 13 when he was sent on a boxcar to Majdanek, then Budzyn, Mielec, Wieliczka and Flossenburg before being liberated by a Jewish soldier while on a death march to Dachau. He has shared testimony and developed new generations as witnesses to his tale to tens of thousands as an almost-weekly fixture at the Dallas Holocaust Museum. He has traveled across the country and served as a chaperone for Yavneh Academy’s March of the Living group 13 times. For him, he is speaking for his parents, Faiga and Isaac; his brother, Heniek; and the rest of the 6,000,000 Jews and the 5,000,000 non-Jews who died. During last week’s taping, Glauben answered 1,500 questions about his life before, during, and after World War II, such as “what did the Holocaust mean,” “what does it mean all these years later,” “what does God mean to you” and “do you feel hope for the future.” The project will be produced by USC’s Institute for Creative Technologies along with the Shoah Foundation, the nonprofit founded by director Steven Spielberg in 1994. Higgins, who was present for much of the filming, said everyone involved could feel the gravity with which Glauben understands the opportunity and the responsibility to impart wisdom that he feels — and that he lives. His answers were deliberate, thoughtful and sincere, but all given with his own brand of personality and heart, with the twinkle that is always in his eye, with the consciousness of the moment and with his ever-positive impact. 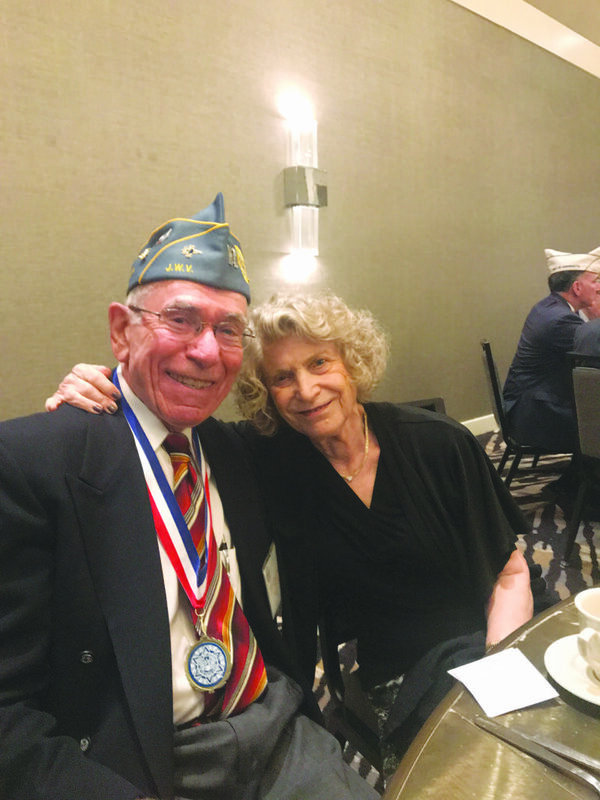 Dr. Barry J. Schneider was elected National Commander of the Jewish War Veterans of the USA at the 123rd Annual National Convention in Tampa, Florida. Barry is a retired Air Force Major with 20 years of active military service. His assignments included: NORAD IG Team; Combat Crew Commander; Instructor Crew Commander and Standardization Evaluator for both Titan II and Minuteman Strategic Missile Weapon Systems; Commander of the 44th Strategic Missile Wing Headquarters Squadron and the Chief Administrative and Logistic Services at the Morocco US Liaison Office United States Embassy in Rabat, Morocco; Commander of the 57th Fighter Interceptor Headquarters Squadron in Keflavik, Iceland; and Commander of the 7th Combat Support Group Headquarters Squadron in Texas. He graduated from the Squadron Officers school, Air Command & Staff College, Command Staff Officers course and Defense Institute for Security Assistance Management. Barry worked for the Fort Worth Independent School District for 16 years serving as a central office administrator in the Human Resources Department and became a Certified Records Manager. He completely revamped the procedure for maintaining and preserving employee records for the FWISD. He served as a board member of the Texas State Library Records and Archives Commission. 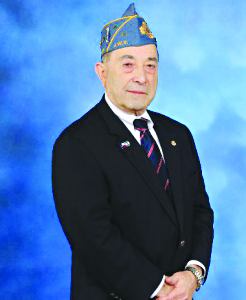 In 1994, Barry joined the Jewish War Veterans, Martin Hochster Post 755 in Fort Worth and became a Life Member. He is also a life member of National Museum of American Jewish Military History (NMAJMH). He served as Post Commander from 2005 to 2007 and received the Post Member of the Year Award in 2007. He served as Department Commander for Texas, Arkansas, Louisiana, and Oklahoma (TALO) from 2012 to 2014 and National Executive Committee member from 2014 to 2016. He developed and organized two JWV Posts in Oklahoma City and Shreveport, Louisiana, in 2013 and a new Ladies Auxiliary in Fort Worth in 2016. Barry has served as chairman of the Vietnam Veterans Committee, chairman of the Scouting Committee, vice chairman of the Youth Achievement Committee, Convention Committee member, Personnel Committee member, Resolutions Committee member, Awards Committee member, NMAJMH Representative and the JWV Representative at the annual Jewish Warrior Weekend at Texas A&M 2017 and 2018. Barry has been a lifelong Boy Scout. As a youth, he earned the Eagle Scout award and the Ner Tamid Jewish religious emblem. As an adult, he served as assistant district commissioner for BSA Transatlantic Council in Turkey and Morocco. He was awarded the Silver Beaver award for sustained exemplary service and the Shofar Jewish religious award for service to Jewish Scouting. Barry was selected to serve as a staff leader at several National Jamborees working in the Jewish emblems booth, director of the kosher kitchen and teaching Reading Merit Badge. The Jewish Community is paramount to Barry. 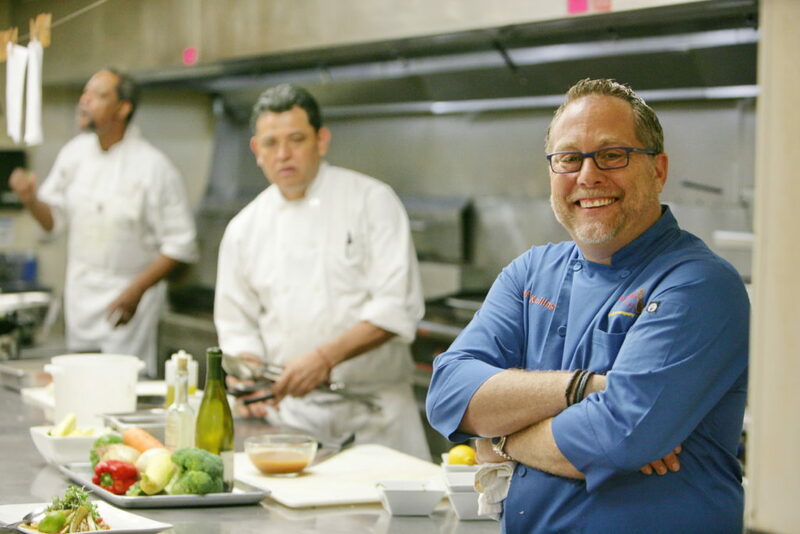 He was selected as the B’nai B’rith Jewish Person of the Year for Fort Worth and Tarrant County in 2010. He has served as president of Temple Beth Shalom in Arlington; president of Fort Worth chapter of B’nai B’rith; Campaign chairman and president of the Jewish Federation of Fort Worth and Tarrant County; president of Men’s Club Congregation Ahavath Shalom; vice president of the Tarrant County Hebrew Free Loan Society; and vice president of the B’nai B’rith and Tarrant County Senior Housing complex in Fort Worth. Also, Barry has served as a board member of the Fort Worth Jewish Day School and the Fort Worth and Tarrant County Jewish Family Services. In addition, he serves as Fort Worth Citizens on Patrol with the police department. Barry was a founding board member of the Orchard Theatre of Texas, a nonprofit professional theater offering innovative and classic productions. Barry earned a Bachelor of Arts in History from California State College in 1967, an M.Ed. in Guidance and Counseling from South Dakota State University in 1976, an M.A. in Management from Webster University in 1986 and an Ed.D. in Educational Leadership from Nova Southeastern University in 1996. Barry was born and raised in St. Louis, Missouri. He was married to Dolores (Finkelstein) for 49 years. Dolores passed away in 2015. They have two children, daughter Myla and son Eric, and two grandchildren. Myla and her husband Gary have two children, Eli and Coby. Also, at the Jewish War Veterans National Convention, Fort Worth Rabbi Sidney Zimelman was named National Chaplain. He was appointed by National Commander Barry Schneider. For the past four years, he has been the chaplain of the four-state TALO and of course is the chaplain of the Martin Hochster Post 755. As reported in the TJP in 2011 by Amy Sorter, Zimelman, 85, “has a long and colorful history — he was born in Poland and lived in Canada and Maine before entering a yeshiva in Brooklyn. In addition to receiving a bachelor’s degree from Yeshiva University and receiving his ordination and Doctor of Divinity at the Jewish Theological Society of America, Zimelman served his country as a chaplain in the United States Air Force base in Japan during the Vietnam years. People often ask where I get ideas to write about, and that is a good question. The idea of mourning a pet in the way one mourns a relative is deeply controversial, with authorities from even the liberal Reform movement maintaining that reciting Kaddish or performing a Jewish burial rite for a pet is inconsistent with Jewish tradition. In a 1984 responsum, Reform Rabbi Walter Jacob wrote that it would be wrong to recite the Kaddish prayer for a deceased pet — not due to any explicit violation of Jewish law, but because of propriety. “We should not use a prayer which is dear to the heart of every Jew to commemorate a dead animal,” Jacob wrote. A separate Reform responsum rejected burying a pet in a Jewish cemetery, again not citing any explicit legal precedent, but rather asserting that “the whole mood of tradition” counsels against it. Do pets (and other animals) have souls? Both the Midrash and Maimonides reject the idea that animals have an afterlife in the world to come, the implication being that they do not possess the higher immortal soul of human beings. However, the Jewish mystical tradition associated with Rabbi Isaac Luria believes in the transmigration of souls between humans and animals. A human soul that requires further rectification could be reincarnated in the body of an animal. For this reason, Hasidic Jews historically were often exceedingly careful about the kosher slaughter of animals for fear they might house the souls of repentant sinners. Does hearing “answers” to Jewish questions mean you must follow the advice? Yes and no — we are often told that if we don’t want to follow advice, don’t ask. We may go for second opinions with doctors and the same is true for rabbis. However, remember that it is not about “rabbi shopping” — asking until you find someone who will agree with you. It is about hearing perspectives and ideas and then making a decision. For me, hearing a Jewish perspective is always helpful and when the day comes for our dog, this advice is helpful. Yet, it is never easy. Earlier this week, Aug. 27, was the birthday of Lyndon B. Johnson, our 36th president of the United States, who served from Nov. 22, 1963, to Jan. 20, 1969. Those TJP readers old enough to remember the events of those years probably recall LBJ taking the oath soon after the assassination of John F. Kennedy. The prolonged Vietnam War and growing numbers of anti-war protestors, despite the false “success” reports being issued, always seemed to dog the president. On the more positive side, LBJ’s “Great Society” and “War on Poverty” programs, bolstered by a strong economy, proved to be generally popular during this time of economic prosperity. Most striking about LBJ was his markedly aggressive, often intimidating personality, especially when he was trying to persuade legislators to vote his way, whenever he favored or opposed something or someone. What is much less known about LBJ’s past are his activities as a young Texas congressman, secretly participating in the illegal rescue of European Jews from Eastern Europe in 1938 and in 1940, before America’s entry into World War II. LBJ’s strong Christian upbringing fostered by his family taught him to support and protect the Jews for their eventual return to the Holy Land. Soon after taking office in 1937, he broke with his party to support a bill, which failed to pass, that would have allowed illegal aliens, mostly Lithuanian and Polish Jews, to become naturalized citizens. In another case, LBJ was told of a young Jewish musician from Austria who was awaiting deportation to Austria during the Holocaust’s early days. LBJ sent him to the U.S. Consulate in Havana to get a residency permit, which allowed Erich Leinsdorf to remain in the United States. He eventually become a world-class symphony conductor with the Boston Symphony Orchestra. These actions by this junior congressman ran counter to the State Department’s restrictive immigration policies, but his efforts were not known. By Dec. 30, 1963, however, enough time had passed and circumstances were such that it was much safer to talk about LBJ’s role in saving refugee Jews. President Johnson was making good on a promise he had made much earlier to attend and speak to the Austin congregation of newly constructed Agudas Achim Synagogue upon its completion. LBJ’s good friend and political ally, Jim Novy, originally was Shimeon Novodvorsky, a poor Jewish teenage refugee from Poland, who worked hard, eventually making his fortune in the scrap metal business. Novy became a philanthropist of many Jewish causes and a strong supporter of LBJ throughout his political career. At the opening of Agudas Achim, while Johnson sat smiling, Novy described the many ways that the president helped save Jews. Through the use of bribes, false passports and visas from Mexico and other Latin American countries, Johnson saved hundreds of Jews, entering the United States primarily through Galveston, hiding them in the Texas National Youth Administration, a youth work training program of which LBJ was the Texas director. According to LBJ’s wife, Lady Bird, at the end of the ceremony, among the people pushing forward to meet the president, people pulled at her sleeve to get her attention, saying that if it weren’t for her husband, they wouldn’t be there. He had saved their lives. Happy birthday, LBJ. Thank you for the good you did. This week in Parashat Ki Tavo, we read an entire section of blessings and curses, though mostly curses. I will admit that I normally read over the curses as quickly as possible because they aren’t at all pleasant. I don’t know why, but this year, one particular curse resonated with me in a way that it hadn’t before. I have felt for a long time that I have led a privileged life, a life filled with blessing. But this year, it was the curse that caught my attention. The times we are currently living through feel precarious and uncertain. I have been appalled by what my eyes have seen. I have lived in dread of what the future might bring us. There is so much anger and hatred in the world today that it fills me with fear. I cannot honestly say, however, that there is more to fear today than in previous centuries. Europe 75-80 years ago was far, far worse. The Chmielnicki massacres of 1648-49 were devastating. The Crusades were not fun times to live through for anyone. Maybe it’s precisely because I have led a privileged life, a life filled with blessing, that today’s uncertainty feels so dreadful. Toward the end of her life, my great-aunt, Lillian, also lived in dread. It’s not that she had a bad life or that bad things had happened to her. On the contrary, she lived a very good, very comfortable life. But I think it was the dementia she suffered at the end of her life that gave rise to the dread she felt. When I went to visit her, she didn’t remember me specifically, but she remembered my mother and that my mother had sons, so she welcomed my visits. The conversation always started with the same cycle of questions filled with fear. The best I could do was try to steer the conversation into one of the other two cycles of questions that were less fear-filled. It was during these visits that I learned an important lesson. I couldn’t do anything for my aunt’s day-to-day life — she was lost to her own world. Nor would she remember my visits or how often I came. But I could brighten the moments that I spent with her and lift her fear in those specific moments. What we dread is what we fear could come to be, “could” being the critical word. “Could” is the critical word because “could” means that what we fear might not come to be. For sure, we live in uncomfortable and uncertain times. It would truly be a curse, however, to ignore the blessings we enjoy right now in these moments to live only in fear of what might, but might never, be. Rabbi Benjamin Sternman is the spiritual leader of Adat Chaverim in Plano. In a recent column you wrote a very touching, sensitive and powerful argument to dissuade your questioner from marrying his Catholic girlfriend. A number of us wondered why you did not mention conversion to Judaism as an option? Interestingly, quite a few people approached me with the same question, so I guess great minds think alike. To tell you the truth, the reason I didn’t even mention conversion to that questioner was because from the tone of his question it was quite obvious that he was far from considering returning to Judaism; the whole reason he even reached out was to fulfill a promise to his parents to at least look into why, perhaps, not to marry out of the faith. I will explain briefly the concept of conversion in accordance with traditional Judaism. There is a common misconception that one can simply convert to Judaism by doing a bit of learning and signing on the dotted line. Conversion isn’t something one “does,” like a course that ends with a degree. It’s about a complete transformation, a “Jewish makeover,” a totally different lifestyle and belief system from the common way of thinking and practicing for the average person. The Talmud says that we do not accept a convert who is choosing Judaism for the sake of marriage (Tractate Yevamos 24b). This is because one is not considered a valid convert unless the person decides that they want to develop a relationship with Him the Jewish way, because they believe that is the best way for their soul to make that connection, and that the Truth of Judaism really speaks to them. This needs to be independent of the side benefit of attaining a Jewish spouse, a reason that doesn’t justify their acceptance into a conversion process. It needs to be for the sake of Heaven, not for the sake of another gain. For that reason, the same Talmud tractate says we don’t accept a convert who is doing so for the sake of honor, glory, wealth or similar benefits. The Talmud even says that we don’t accept converts in the days of Messiah, because those converting will be doing so, ipso facto, once the Jews are recognized as the leading nation by all and they want to share in that glory, not doing so to better serve God. In the case of the petitioner in the past column, since nothing of the sort was exhibited, conversion wasn’t mentioned as an option; although, if you’re out there and reading this and want to consider this odyssey, feel free to contact me and I’ll be glad to discuss it. It’s no secret that I love Philip Roth. He’s my favorite author of all time, because of his deft use of English (the language I love almost as much as my blood relatives) and his total honesty in what he writes in that language. I thought, over these many years of reading and rereading him, that I’d gotten him figured out. Think again, O deluded self. I’ve just reread Patrimony, Roth’s account of his father’s descent to death. The title itself poses a question. Matrimony and patrimony are both derived from Latin: the first from the word mater — mother; the second from the word pater — father. But in our translations, look at the difference: Matrimony equals marriage; patrimony equals what’s passed from father to son. What a difference. I’ve also always thought this was the most personal of all Roth’s many books, and I still think I’m right. But my rereading has helped me realize that all the others are just as personal, the difference being that he has fictionalized them. However, not this, which is 100 percent first-person feeling, right out in the open with the all raw emotions it exudes. Follow with me, if you are a Roth lover — or even if not: In Goodbye Columbus, his first book, he is the boy having his earliest sexual experiences, making mistakes and suffering from them. In Nemesis, that terrifying tale of polio in the 1950s, he is the young man for whom devotion to duty causes great mental and physical suffering. In American Pastoral, he is the “golden one,” that fair-haired “god-on-earth” to whom all is given — but ultimately has all taken away. These may not be actual experiences, but they are certainly drawn from Roth’s personal history, played out in his own exemplary fiction. Taken together, and if read as I propose, the total of Roth’s voluminous output equals his own life in its entirety. I can’t be the only one who thinks this. However, I’ve never seen or heard it articulated just this way before. Patrimony is a wonder, a deeply personal and no-holds-barred look at a son’s struggle as his father’s life ends — perhaps even more than the father struggles to deal with his own inevitable, forthcoming death. The father’s troubles are basically physical, although physicality calls into play much else; the son’s troubles are basically rooted in memory: How could I have forgotten X? Why didn’t I handle Y differently? Have I ever made clear to my father how highly I really regard him? And if I haven’t — why not? These are questions all of us ask at the bedside of a terminal parent, but not all of us can answer them. Roth struggles to do so, and he succeeds. He is able to identify the patrimony — what passes from his father to him. And it is not always pleasant, not always what he might want, but he recognizes it for what it is. Many of us have experienced this painful role-reversal, unimaginable in our lives until it happens: We may become the parent to a parent of our own. It is not a welcome or easy stage of existence to deal with, but we have no choice. Roth takes up the challenge and tells us all about it, in all its pain, with all the soul-searching, the self-accusations, the love that is in every thought and every word — even though the latter might not sound exactly that way. This book is a manual for how to say goodbye when that is all there is left to say. And it is the ultimate, very human, picture of esteemed author Philip Roth. My own parents are long gone. Now, I’m passing my new appreciation to my children, asking them to send it along to my grandchildren — and beyond. If you have current struggles, or have ever struggled with these issues, I recommend this book: Philip Roth’s remarkably honest best. Because someday, you’ll need it. Bye Bye Germany will be shown at 7 p.m. on Thursday, Sept. 13 at Studio Movie Grill Spring Valley. The curtains at Studio Movie Grill Spring Valley will soon part for the 22nd annual Jewish Film Festival of Dallas, produced by the Jewish Community Center of Dallas with support from the Office of Cultural Affairs/City of Dallas, and presented by Pegasus Bank. Screening throughout September are The Testament (Sept. 4), The Cakemaker (Sept. 5), Sammy Davis Jr.: I’ve Gotta Be Me (Sept. 8 and 26), GI Jews: Jewish Americans in World War II (Sept. 12 and 16), Bye Bye Germany (Sept. 13), Shelter (Sept. 15), Heading Home: The Tale of Team Israel (Sept. 17), The Body Collector (Sept. 20), The 90-Minute War (Sept. 22), and The Last Suit (Sept. 27). The Testament tracks a dedicated Holocaust historian working to prevent the desecration of a mass Holocaust gravesite to make way for road construction. Examining testimonies of Holocaust survivors who could be witnesses to the massacre, he finds his own mother’s testimony, which she refuses to discuss. Dr. David Patterson, the Hillel A. Feinberg Chair in Holocaust Studies, Ackerman Center at UT Dallas, will lead the talkback. The Cakemaker traces the bond between a gay German baker and the Jerusalem-based widow of the man they both loved, which is formed when his Israeli lover dies and he goes to Israel to learn more. The portrait of grief raises an array of social and religious questions. Post-screening discussion will be led by Congregation Shearith Israel Rabbi Adam Roffman. Sammy Davis Jr.: I’ve Gotta Be Me is about the legendary entertainer — a Puerto Rican, Jewish, African-American who was driven toward the American dream in a time of racial prejudice. The film, spanning his life from childhood and including the Rat Pack, has interviews with Billy Crystal, Kim Novak and Jerry Lewis. Beri Schwitzer, director of congregational learning at Congregation Beth Torah, leads Saturday evening’s discussion. GI Jews: Jewish Americans in World War II tells the experiences of 550,000 Jewish Americans. Veterans unknown and famous, including Mel Brooks and Henry Kissinger, narrate their fight for their nation and their brethren in Europe, while struggling with anti-Semitism within their ranks. Sara Abosch Jacobson, chief education, programs and exhibits officer at the Dallas Holocaust Museum/Center for Education and Tolerance, will speak after Sunday afternoon’s showing. Bye Bye Germany, a dramedy, features a former concentration camp survivor who sees his scarred homeland as one of opportunity. He recruits Jewish traveling salesmen in a scheme selling overpriced linens to guilt-ridden Germans, also facing interrogation by an American military intelligence officer about his past as an alleged Nazi collaborator. 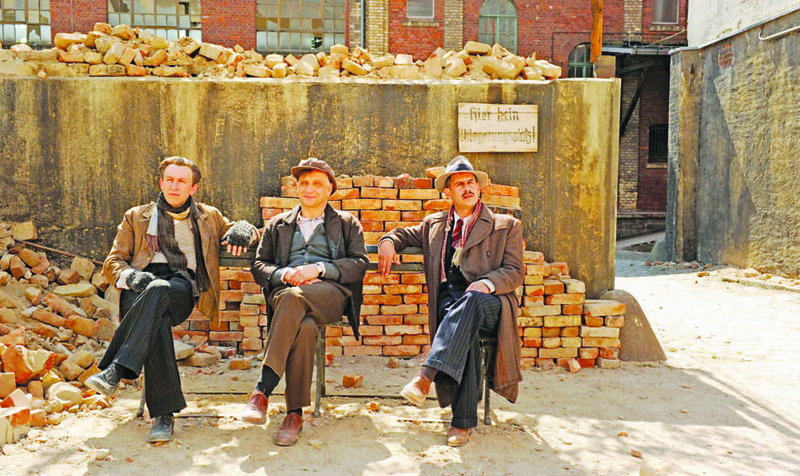 The film was inspired by the screenwriter’s family history in an engaging salute to the nearly 4,000 European Jews who chose to remain, reclaiming their lives. Shelter is the story of a Mossad agent who reluctantly accepts a mission at a safe house in Berlin. The thriller trails her as she protects a Lebanese informant recovering from identity-changing surgery and the two develop a fragile but special bond. Heading Home is based on Israel’s underdog national team competing for the first time in the World Baseball Classic. With several Jewish American professional baseball players, most of whom had little exposure to Judaism, the team discovers the pride of representing Israel on the world stage. They travel from Tel Aviv and Jerusalem, where they are heroes, and on to Seoul, where they hope to win. Consul Omer Checkek-Katz, of the Consulate General of Israel to the Southwest, leads the post-screening conversation. The Body Collector, the highest-rated series in Dutch television history, is a true-life drama following an investigative journalist fighting to reveal a prominent art collector as a Nazi war criminal and the price he must pay during his search for truth and justice. Stonewalled by bureaucrats, he refuses to go down quietly. The 90-Minute War is a satirical comedy revolving around how, after decades of strife and failed peace talks, the leaders of Israel and the Palestinian Authority agree to end the intractable problem with a winner-take-all soccer match. One 90-minute game will decide who remains in the Holy Land. As the two managers prepare for the game of their careers, nothing is easy. The Last Suit is about a senior refusing to bend to family pressure for him to move into assisted living. He goes to Poland in search of the friend who nursed him back to health when he returned from Auschwitz, hoping to fulfill a 70-year-old promise. Zsuzsanna Ozsváth, Leah and Paul Lewis Chair in Holocaust Studies at the Ackerman Center at UT Dallas, leads the screening’s talkback. With the festival comes the 2019 Jewish Film Festival of Dallas’ Emerging Filmmaker Prize. Applications of short films will be accepted from Sept. 3 to March 1 for the contest held in memory of the late Dr. Peter Marcus, who co-chaired the festival with wife Brenda for eight years. Filmmakers don’t have to be Jewish but pieces must reflect aspects of Jewish life. Prizes are $500 and a screening of the winning film next year. Applicants must be under 25 and enrolled or recent graduates of middle school through post-graduate programs. Film schedules, trailers, and ticket sales are available at bit.ly/2M6wVUA. To order tickets by phone, contact Rachelle Weiss Crane at 214-239-7128. Jewish Film Festival of Dallas Emerging Filmmaker Prize information and applications are at bit.ly/2AVDC6O. For donations, visit bit.ly/2ORFqAt. Nothing can prepare you for the opening scenes of The Captain. It’s 1945, just two weeks before the end of World War II, and a young German soldier — a deserter named Willi Herold (a marvelous Max Hubacher) — is being pursued by military police across a bleak landscape. Hiding in the root of a tree, he somehow manages to narrowly escape their hunt. Starving and cold, he continues his quest only to encounter an abandoned car. Miraculously, in the back seat, he finds a suitcase containing an officer’s uniform, a basket of apples and hope. Discarding his ragged uniform (and his humanity as well), he quickly changes into the officer’s coat festooned with medals, dons the military cap and is chillingly transformed into The Captain. 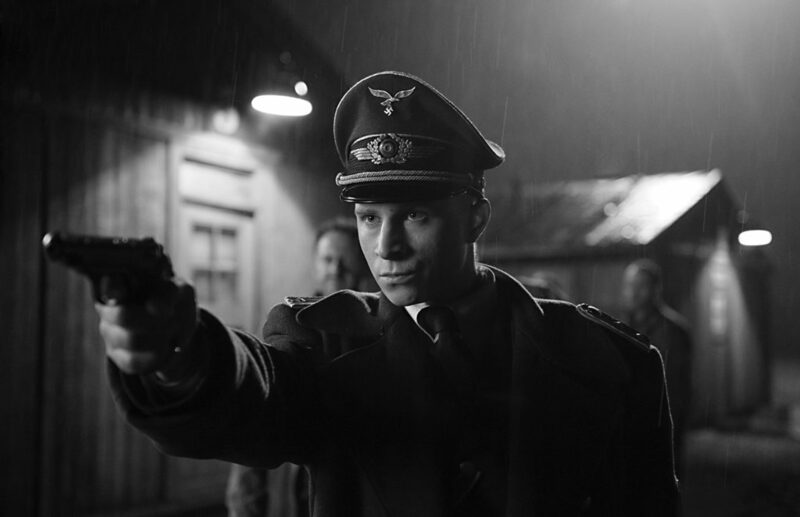 Shot in high-contrast black-and-white by cinematographer Florian Ballhaus and stunningly directed by Robert Schwentke, The Captain had its world premiere at the Toronto International Film Festival in 2017. Not surprisingly, it won the Jury Award for Best Photography at the San Sebastian Film Festival 2017. After working in Hollywood for many years (RED, Flightplan and The Time Traveler’s Wife), Schwentke returned to his native Germany to tell the true story of Herold, nicknamed the “Executioner of the Emsland,” who rallies a ragtag group of deserters and becomes a merciless beast. Even the music is haunting: a blend of horns and mechanical, industrial sounds that add mightily to the heightened tension. The film focuses on the captain and his followers; a barbarous group who are happy to be Herold’s acolytes and not in prison. As they arrive at a camp designated for deserters, he claims to be in charge of “special tasks” and is to write a report on the situation at the front, at the behest of Hitler. Continuing the charade with more gusto, his spiral of violence continues. Losing his moral compass and any sense of humanity, Herold incites a brutal massacre of the encamped deserters and thieves, which is followed by a macabre celebration. This is the only time that Jews are mentioned in The Captain are as part of a vaudeville-type performance to commemorate the extermination of German deserters/prisoners. The Captain is a remarkable film; it’s just not for everybody. It’s difficult to watch a film in which there is no hero, no one to root for. If you go to the cinema for escapism (not the Willi Herold kind) or solely to be entertained, perhaps this film is not for you. But if you don’t mind historical context — in this case war with all its brutal trappings — you’ll be rewarded with a two-hour example of what honest filmmaking should be. Schwentke’s only misstep is the coda added to the closing credits. In full Nazi regalia, Herold and his team drive around a contemporary German town and “harass” folks who are unaware. Don’t let this deter you. The Captain makes such a profound sociopolitical statement, it’s easy to ignore the last misplaced moments.